Can it be true? Are the kids getting out of school in less than four weeks? Time seems to be going by much too fast, especially as my kids get older! As parents we can’t help but worry about our kids’ futures. With a sixteen-year-old son going off to college soon, the subject is on my mind now more than ever. 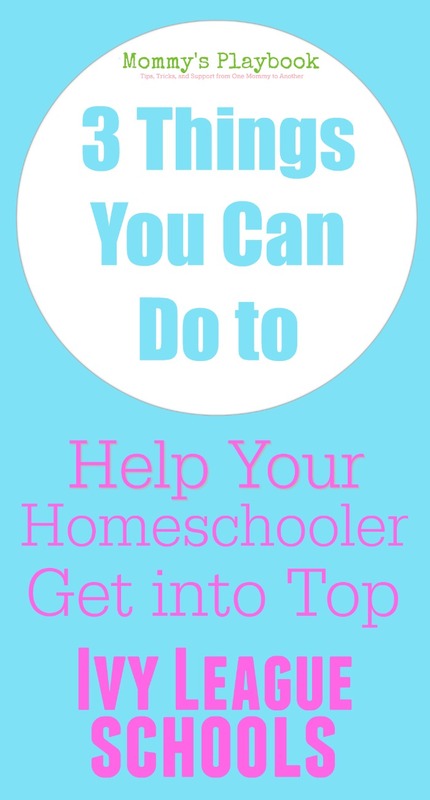 The great thing about homeschooling is that families generally have much more freedom to let kids explore their interests and even get a head-start on careers that can last well into adulthood. They can work on projects and take advantage of opportunities that aren’t always available to kids whose time and resources might be limited by the rigid schedules that public schools impose. It’s for this reason that homeschoolers may have a higher chance of getting into schools like Harvard, Yale, and Stanford than public school students. Still, it’s easy to worry about how colleges will respond to homeschooled applicants. Will admissions officers take them seriously? As far as applying to college goes, high school will be the most critical years of your child’s education. Grades and (especially) SAT scores matter, but helping your child stand out in the application pool is just as important. Here are a few ways you can do that in the coming school year. Encourage your child’s interests. One of the downfalls of public schooling is that it can leave students so strapped for time that it’s not easy to explore anything outside of their classes. A homeschooler who shows a lot of talent and interest in one area (like computers) can develop that talent by implementing relevant material into different subjects or take on a cool project that can add to those subjects. Your child could start a blog or YouTube account, write a book, assist a professor at a nearby university, etc. It will help your child stand out and perhaps lead to even greater things. Enroll your child in a nearby community college. Did you know that some community colleges, like Daytona State, offer free enrollment for high school students? Having your child take college-level courses is a great way to show admissions officers that he or she is more than capable of handling the challenging courses they offer. It will also help students get comfortable in a classroom environment. Best of all: those credits can sometimes transfer over to whatever school your child eventually goes to full-time, saving you money in the long run. Have an end-goal in mind. Try to help your child figure out as early as possible where he or she wants to go. Don’t worry them about picking “THE” school – just have them pick out five or six that sound appealing, with a couple of backups. This will help with things like assessing an SAT score goal and getting your child to think seriously about their future (which will inevitably help them focus their interests and lead to a better college application). As scary as this process can be, it’s nothing to worry too much about. A little forethought goes a long way. For more tips, grab a copy of “Homeschooling and College: How I Rocked the SATs and Got into the School of My Dreams” on Amazon. It’s a very helpful little book that was written by a homeschooled student who is now a sophomore at Rollins College in Winter Park, FL. Make sure they do SAT/ACT Prep courses in order to increase their chances of the best score possible. If students have high scores they are “seen” by colleges and even offered scholarships before completion of high school. A top score says more than homemade transcripts from a homeschooling mom. Thanks so much for stopping by and leaving a comment. I agree completely, test scores certainly matter. However, most Colleges today, especially Ivy League schools, take more than test scores into consideration when selecting students for scholarships. I encourage you to read Cori’s book “Homeschooling and College: How I Rocked the SATs and Got into the School of My Dreams”. It tells how she was able to attract the attention of Rollins College (as a homeschooled student) and what her family included in her transcripts that made the difference. These are good suggestions. I don’t have a teen getting ready for college right now, but it is good for parents to see home schooling can have advantages over public schools for college admission. Really good to think ahead, definitely lots of options now a days.. Early on planning is nice. Thank you for the tips. These are very helpful to us.